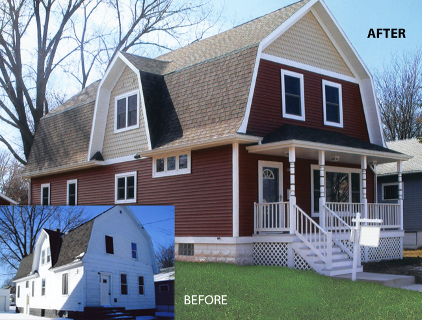 Keeping your home and family safe, dry and secure requires a roofing system that will stand up to the demands of our changing New England weather, including high winds, heavy snowfall, torrential rains and dramatic temperature swings. To provide protection from the elements, the expert roofers of Team Vinyl and Roofing Co. have partnered with top brands in roofing materials, such as GAF, CertainTeed asphalt shingles, Drexel Metals, and RPI EPDM rubber to cover your home in a high-quality roof that will last for many years to come. When you’re ready start your roofing project, Team Vinyl and Roofing Co. will send a knowledgeable, professional roofer to your home to work with you on identifying your roofs needs and selecting the best system for your unique situation. Whether you need a roof repair, roof replacement, or roof installation for your homes new addition…one thing is for sure- no single home improvement project can have such a significant impact as your roofing. 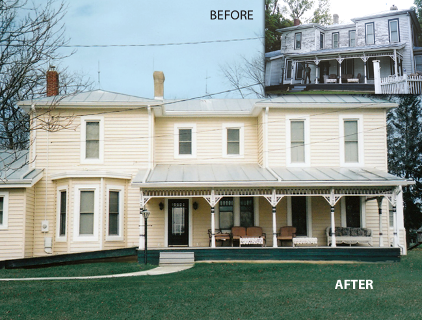 With Team Vinyl and Roofing Co., not only will your home be fully protected from the elements, but it will also provide beauty, curb appeal and charm while adding value to your home. Quality roofing contractors work with quality materials, and with our professional roofers there are no exception. At Team Vinyl and Roofing Co., we want you to have peace of mind and confidence in your roof replacement long after your new roof is installed. Our roofers provide a wide selection of high-quality products to fit your needs and your budget while maintaining the durability and longevity you would expect. How do you know if it is the right time to begin a roofing replacement project? When should you choose a new roof over simply having your current systems repaired? A roof replacement can be quite the investment, which is the most common reason why homeowners and building managers often choose repairs over a full-scale roof replacement. However, dependent upon the extent of damage and the age of the roof, the cost of a roof replacement may actually be a cheaper investment in the long run, rather than racking up expensive charges each time new repairs are required. What are the Roofing Material Options? What type of roofing material is best to use for your project? There are a number of things to consider when deciding on what type of roof to install on your home, from cost and durability to style and performance. The right roof is the one that balances all of these factors. No matter what style or materials you choose, you can rest assured knowing that all our roofing products are covered by industry-leading warranties. Your new roof is essential, and the installation is a perfect time for additional home upgrades. Whether it’s something your home needs or your family wants, why wait? Trust the roofers and home remodeling contractors of Team Vinyl and Roofing Co. for your roof replacement and exterior upgrades. Seamless Gutters - Quality gutter systems can help protect your investment and maintain your home value – even make your weekend outdoors tasks more manageable. Skylights - Now is the perfect time to add a flood of light into your home with easy-to-use Velux skylights or sun tunnels. "Team Vinyl and Roofing’s crew built a roof over my wheelchair ramp, advised as to best result, and then constructed a standing seam metal roof over the home, including replacing skylights and adding two sun tunnels. Prior to my new roof, I had some leaks, and no cover over the ramp. Jeff advised me about the best possibilities for home longevity and maintenance, as well as safety and ease as a wheelchair user." "I felt well taken care of. Jeff even advised against something I thought I wanted. This saved me $, was not feasible and he could’ve made more $ from that, but instead was thoughtful and honest!" Whether your roof's problems are relatively minor, or more complex, the team at Team Vinyl and Roofing Co. has the experience and expertise to help you make the appropriate decision for your home. With over 30 years of hands on experience serving the Cheshire County of NH and Windham County of VT areas with pride and a commitment to workmanship, we look forward to meeting - and exceeding your expectations. Call Today For a Roof Estimate! For a roofing replacement, new roofing installation, or roofing repair free no-obligation estimate and information about our industry leading roofing warranties, call (603) 336-3393 or contact us online. We are proudly located at the same Hinsdale, NH address for over 30 years.